Jo and I always make an effort to create a design for Remembrance Day. We've explained our reasons in previous posts so I won't go into that again. I hope you take some time to have a think today and remember those who have sacrificed their lives doing what they think is right to benefit the rest of us. For my design I wanted something that was wearable and pretty so chose alternate fingers of white with a little gold stud, and clear base with poppy tips. 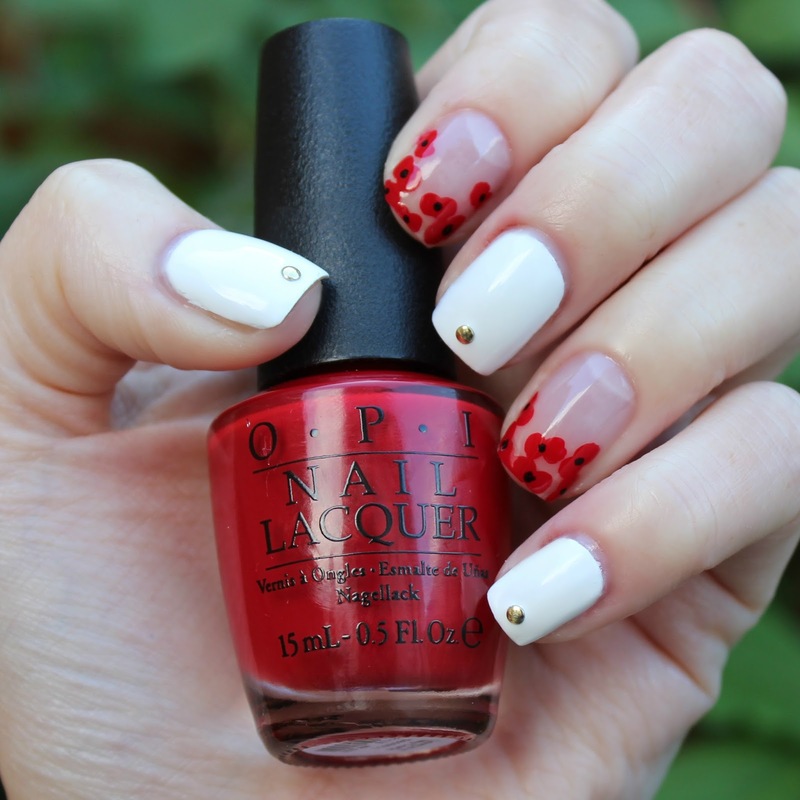 I used a dotting tool to draw two red spots with OPIs Love Is In My Cards* and then dotted a black centre using Barry Ms black nail art pen. I really like the overall effect. 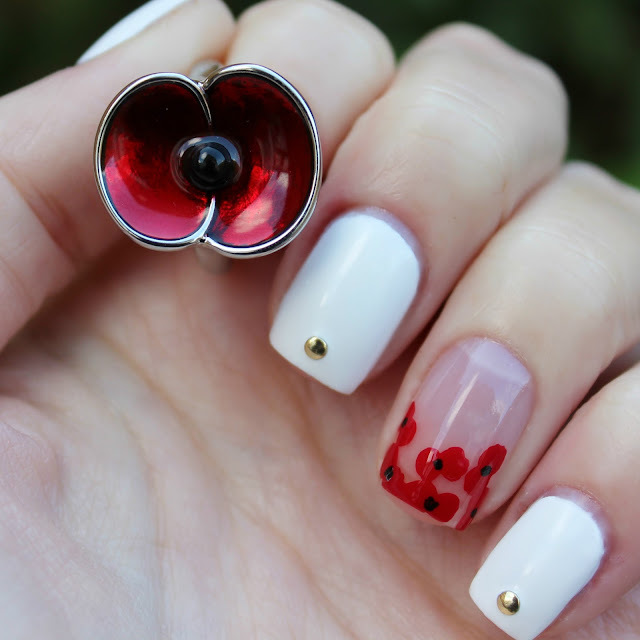 I think it'd even look good with all nails having the poppy tips as they are quite subtle. Jo and I were kindly sent two rings for Remembrance Day by the lovely team at Buckley London. Jo wrote a little about them in her post back in October as she was sent the diamante ring. mine was smooth and shiny and I have been wearing it for the past week and have received a lot of compliments. Like Jo said, it's nice to wear something that lasts longer than the paper poppies. They look prettier too. 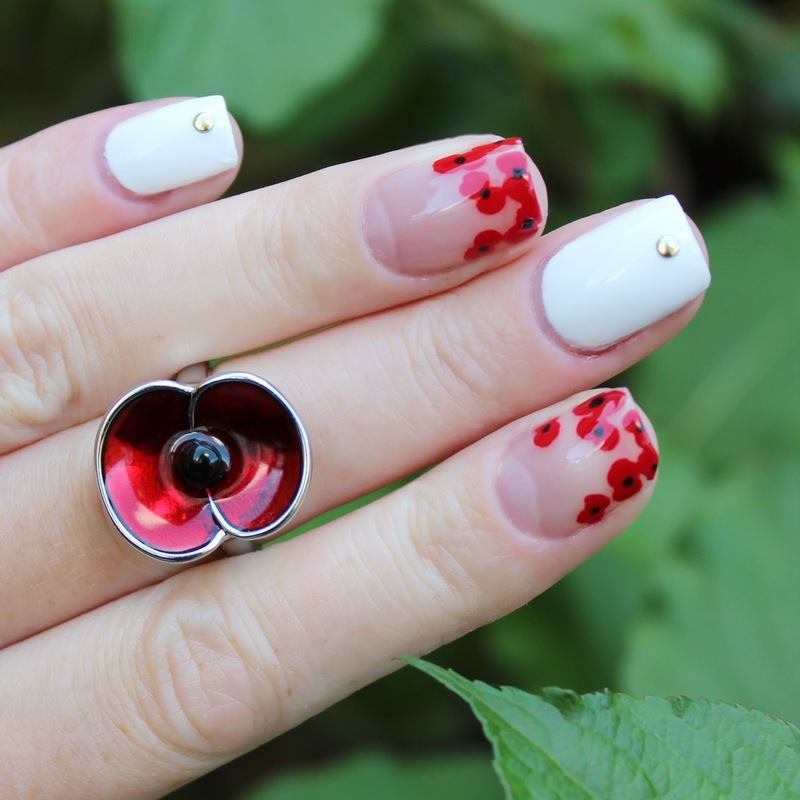 Leave links below to your Remembrance Day designs if you do any.